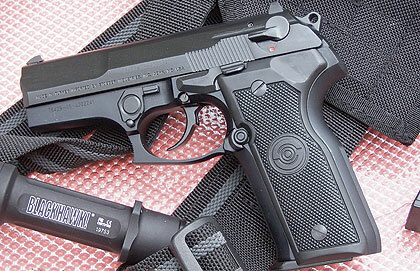 As the years went by, Beretta attempted to breathe some life into a decent but somewhat expensive gun but could not really grab a foothold in the market. 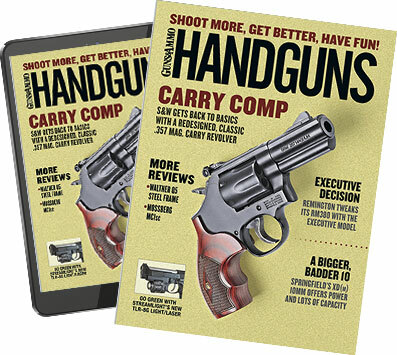 It developed a spring-loaded decocking version, a DA-only version with a long, revolver-like trigger as well as a .45 ACP with half the grip cut off, calling it a compact and supplying a magazine with a full-length grip extension. This last model always left me scratching my head, as the grip was either the same as the original or too short to be of use&apos;¦hmm. This rotating design keeps the barrel in alignment with the target, potentially creating a more intrinsically accurate firearm. The barrel is throated and the frame relieved so that the chamber will accept a wide variety of bullet styles, reliably keeping feed malfunctions to a minimum.